There we were, wondering if the little ones, an age group of 4 to 7 years, would be up for farm work, for getting their hands down and dirty. 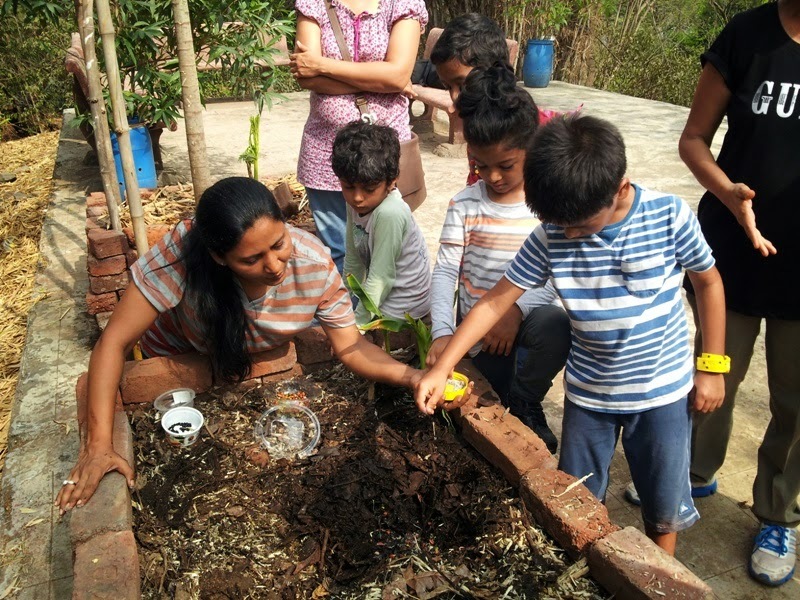 They walked around the farm at MNP, counting the custard apples on the tree and marveling at the pineapple, before settling down to learn how to make a self-watering can and what the plants needed to survive and grow. Sure, plant food is great but can we do some experiments, they said happily mixing the soil and compost, sticking the stickers on the cans and asking when they could sow some seeds in the beds. 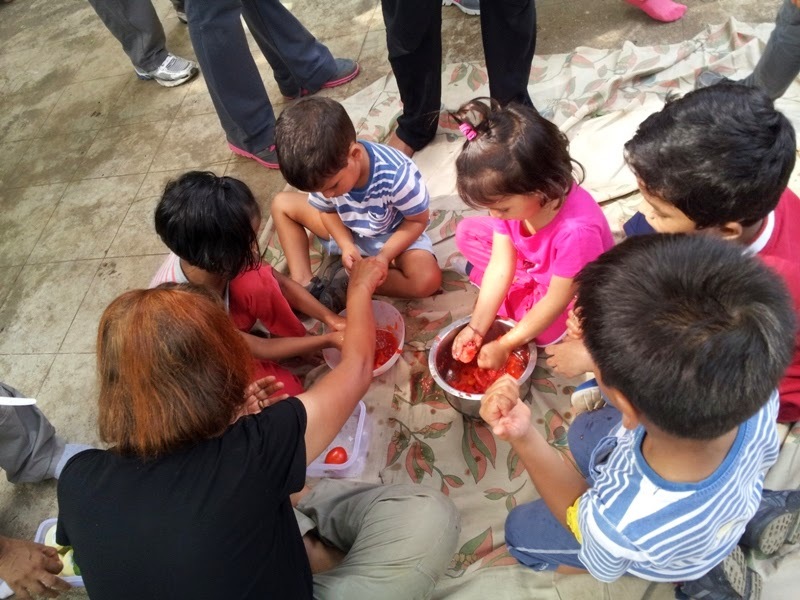 Salad making and squashing tomatoes? 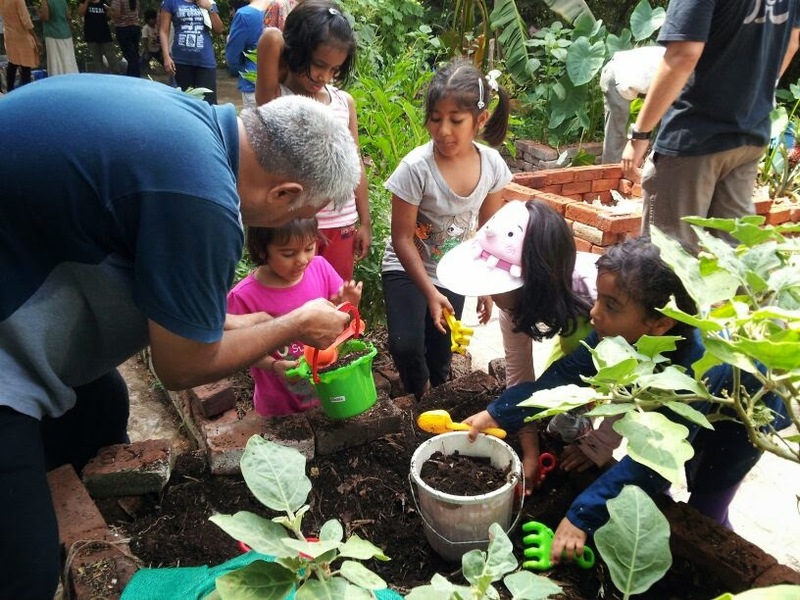 Bring it on, the kids seemed to say after they’d all planted some spinach in their containers and headed to the Seva café to make and eat some breakfast. There were also beds to be made but the summer sun was beating down and we thought they’d be tired. Surprisingly, most hung around, including the tiniest who after having enthusiastically pish-pashed tomatoes, dug-up dirt and helped carry buckets of it to fill up a bed. We think it’s safe to bet that they’ll be back to check on the bhindi and corn seeds they sowed. And teach us that children can farm too.